As part of this project we are in the process of making an app, which will run on smart phones and tablets. 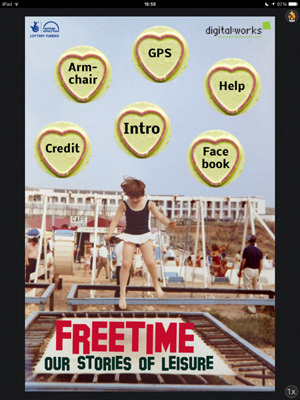 This app will include edits from our oral history interviews and locate these memories onto a map of Weymouth and Dorchester. It will allow the memories to break free from the walls of the museum and be located out on the streets. 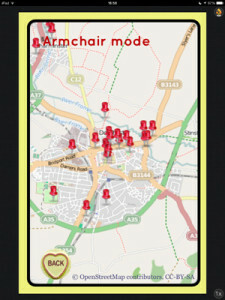 GPS mode – this will allow the memories to automatically be played when you are in a specific location, i.e. hear someone talk about the Victoria Bars on Weymouth esplanade while stood outside the building. 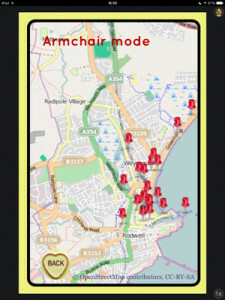 Home mode – here you can just browse a map of Weymouth or Dorchester, click a marker and hear the memory attached to the marker. Map of Dorchester showing memory markers. Map of Weymouth showing memory markers.